Actual year may vary. Consult calendar for current year. I’m working on a post about reattaching loose veneer, which would be done except the finish doesn’t want to dry during 2015. 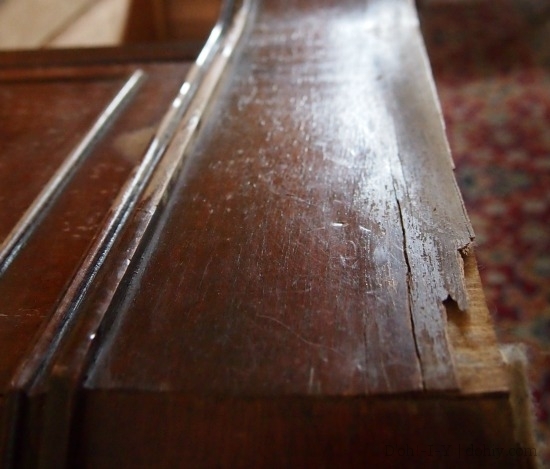 All the veneer was still there — it was just hanging off with a detached corner. It looks better than this now (and wetter). But not all loose veneer can be saved, and sometimes, veneer is just gone. While I watch gel stain dry, I decided to start on the other veneer post. Little Green Notebook used epoxy to square off chipped veneer on a desk. A to Z Custom Creations used Bondo on large veneer gaps to great effect (also shows how to make chipped veneer into a feature on a distressed piece). If the place where the veneer is broken can be replaced with MDF or new wood, that may be quicker. 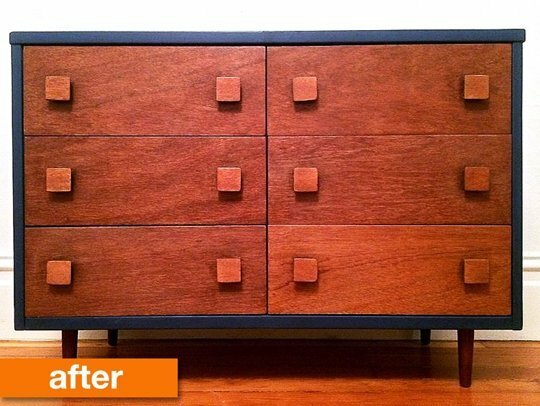 I replaced drawer fronts on an old chest of drawers, and Recaptured Charm fabricated a new top for a buffet — these are two of the easier items to completely swap out. An alternative veneer tutorial on How Things Work includes the advice to use irregular or curved edges on patches to make it less obvious. 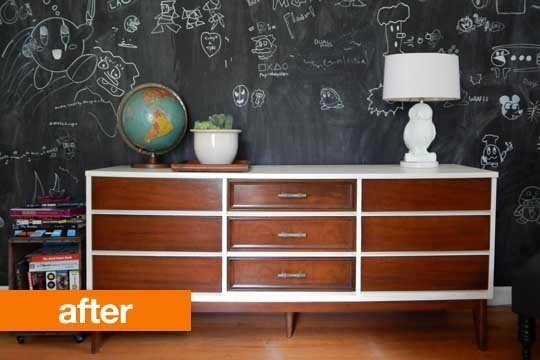 Fixfurniture.com has a wordless video tutorial on veneer — sometimes, watching is better than reading. 3. Paint Part of It and Patch Part of It! When done right, these pieces look terrific (I especially like the blue outline). 4. How and Where To Get It! If you need to patch veneer, you need to know the thickness that you are trying to match. 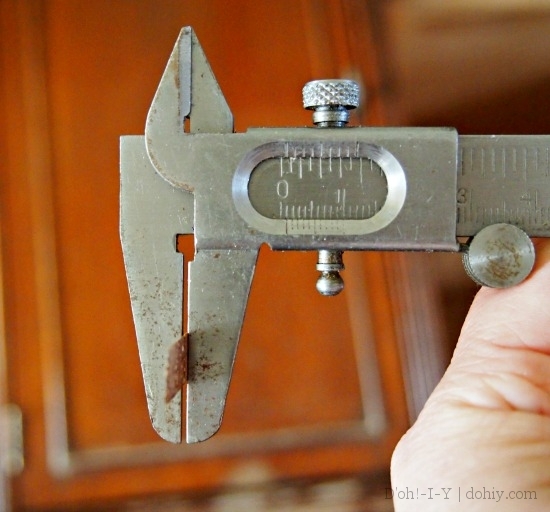 Ideally, use some calipers to get the thickness — if you have no calipers but do have a detached piece, you could take the piece to a big-box caliper-seller and furtively measure it. Judging by my observations of the Menards measuring area, that’s a well-known technique. Our calipers. I don’t know where they came from. If you only need a small piece, consider eBay for off-cuts and leftovers that might be plenty big for your purposes. 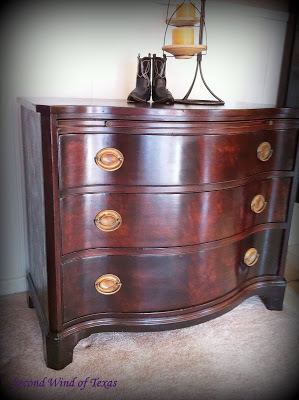 This entry was posted in Decor, Furniture, Repair & Maintenance and tagged epoxy over veneer, fix veneer, painting veneered furniture, patching veneer, replacing veneer. Bookmark the permalink. One Response to No Veneer? Have No Fear! 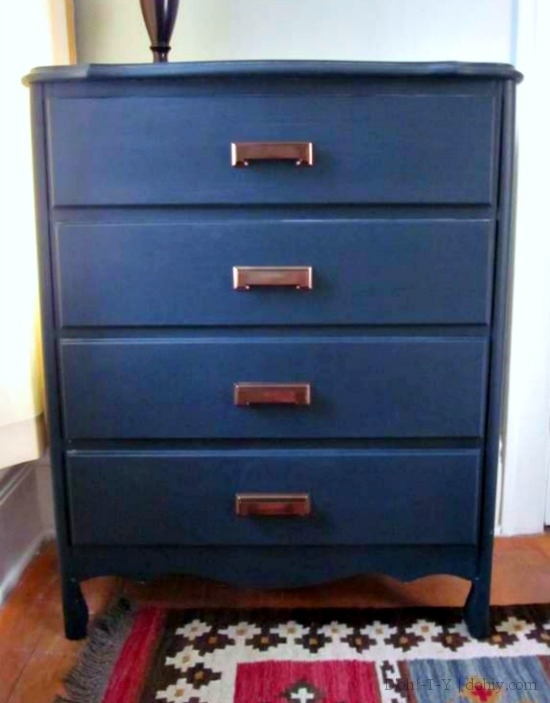 love, love the dark blue chest of drawers! Looks like an old family piece.